Could you be asking all the wrong questions about Israel? Conversation about the Arab-Israeli conflict usually starts by asking if God is for or against the Jewish state–or Palestinians, Arabs or Muslims. 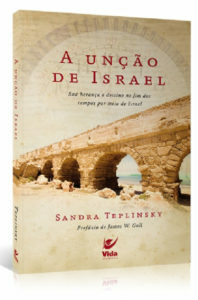 In this updated and urgent book, Sandra Teplinsky, an American-Israeli Jewish believer, shows why many Christians are asking the wrong questions about Israel. With gracious honesty and solid biblical insight, she unravels the mystery and controversy of Israel–and shows how it impacts you–by taking you into the Lord’s passion for all humankind. “The dividing line of the true Church will be its position on the Jews and Israel. You must be on God’s side. Read this book!” Sid Roth, TV host, It’s Supernatural! Also endorsed by leaders Wayne Hilsden and Rick Ridings. God’s destiny for the last days Church intersects with Israel. He is releasing ancient anointing resident on the Jewish nation for the whole Body of Messiah. As One New Man in Yeshua (Jesus) the Bride is preparing for the return of her Bridegroom King. But global conflict will precipitate Kingdom revival. Both a wedding and a war are at hand. Israel’s Anointing prepares God’s people to stand firm during times of global shaking and Kingdom shifting. Each chapter addresses a major shift that will reshape dedicated followers of Yeshua, both Gentiles and Jews.The chapters build on each other, taking readers from ancient paths into the prophetic future. Yeshua is coming again to set in place a tangible Kingdom according to the perfect law of love, liberty, justice, righteousness and peace.The increase of His Kingdom will never end. Care to participate? 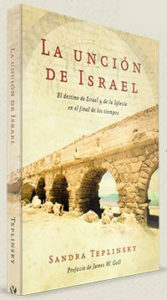 Israel is integral. Discover why and how. Don Finto, director, The Caleb Company; author, Your People Shall Be My People. Also endorsed by Jonathan Bernis, Heidi Baker, Jill Austin, Rick and Patti Ridings, Sid Roth, Steve Schultz and Rachel Boskey. Widely acclaimed by Christian and Messianic leaders, Why Care About Israel will propel you into prophetic revelation about God and Israel, unravel the Arab/Palestinian – Israeli conflict, and inspire you to action. God has a plan for you. It starts with Israel. From the moment God created the Jewish nation, His plan for her was immense-nothing short of blessing the nations of the world. Yet, as this Messianic Jewish author explains, this calling has yet to be fulfilled. Sandra Teplinsky guides you through the mystery of God’s relationship with Israel and the implications for Gentile believers today. Be part of this great unleashing of blessing in the twenty-first century as you share in God’s passion for His ancient covenant people. Also endorsed by James Goll, Jonathan Bernis and Avner Boskey. God is propelling Christians and Jews into a shared destiny in these last days. In condensed form, The Blessing of Israel imparts God’s heart for His chosen people, and explains why and how the Jewish nation is key to world revival. 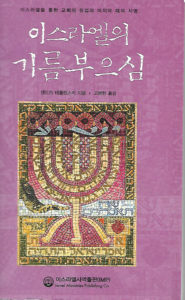 In 85 succinct pages, learn the basics of how to pray for, and minister to, the Jewish people. The book is a concise and compelling study of Romans 9-11. Read the only first-hand, eye-witness account of modern Jewish revival! Enjoy inspirational, real-life stories from the former Soviet Union. Learn how tens of thousands of Jews gave their lives to Messiah in the 1990’s. This is a compelling testimony of the power of God and fulfilment of Bible prophecy. Limited number of copies available. 예수를 믿는 유대인과 크리스천은 함께 예수님의 다시 오심을 준비해야 하며, 이는 전 세계 영적 각성과 부흥, 영적전쟁이 증가되는 것과 연결됩니다. 예수를 믿는 유대인 샌드라 테플린스키는 이스라엘의 영적 유산이 마지막 시대 신자들의 몸을 온전케 하기 위해 필히 요구되는 진리라는 것을 전달합니다. 이 땅을 진동시키는 천국의 왕국의 계시들이 이 책에 있습니다. ‘이스라엘의 기름 부으심’은 당신을 하나님 마음의 깊은 곳까지 인도해 줄 것이며, 예언적이고 실제적이고 열정적으로 어떻게 당신의 부르심을 완수해야 하는지 큰 그림을 제시합니다. 일부 그리스도인들은 ‘이스라엘’이야기 라는 주제에 대해 정치적으로 접근하고, 심지어는 육신적인 생각을 갖습니다. 하지만 열정으로 쓰여진 이 책을 읽으면 그러한 비 성경적인 생각은 사라지고, 하나님께서 이스라엘에게 유산으로 주신 것들 가운데 남겨진 심오한 영적 보물들에 눈이 열릴 것입니다. 이 책은 유대인과 이방인 성도 모두에게 중요하고도 결정적인 문제를 다뤄, 메시아 안에서 우리가 한 새사람을 이루는 성숙으로 우리를 인도합니다. 샌드라 테플린스키의 새 책을 통해 여러분은 이 시간 이스라엘을 향한 하나님의 마음과 목적에 대한 직관을 갖게 될 뿐만 아니라 그것이 메시아의 몸의 일부인 여러분에게 개인적으로 어떻게 적용되는지를 깨닫게 될 것입니다. 저자는 성경적이고 예언적인 계시를 하나님을 향한 불타는 열정과 결합시켜, 신비한 것들을 풀어주며 우리를 옛 영적 유산에 접붙여 줍니다. 역사의 현 시점에 중요한 책입니다. 이 책의 내용들을 품는다면, 여러분 삶의 많은 멍에들이 깨어질 것입니다. 우리 시대의 역사를 정의하는 책이라 할 만합니다.